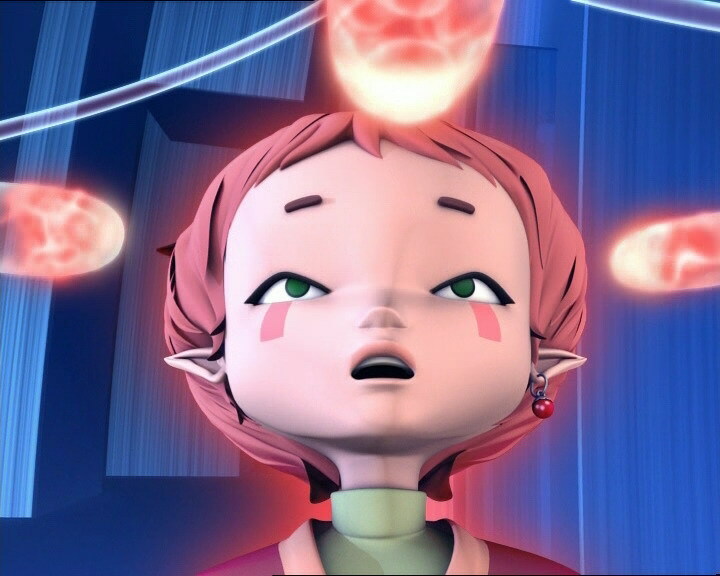 Once again, Aelita is plagued by strange visions which seem related to a past she does not recognize. It is in fact one of X.A.N.A.’s schemes! It stimulates our young heroine’s memory in order to draw her to Sector 5 where the Scyphoaoa is waiting for her! After a long struggle, our heroes manage to counter X.A.N.A.’s attack. But there’s still one question that remains unanswered -- where are these visions coming from? The next day, when she tells the others about it, Jeremy and the group worry: Aelita has the impression of already having seen these images. Isolated, Odd is captivated by a mysterious girl he met on a chatroom recently. Later in the afternoon the kids are in gym class at the pool and Aelita has new, more precise visions: she’s at the Hermitage again with the men in black and she’s escaping with an adult through an underground tunnel… In her delirium, she staggers and falls into the water, saved from drowning by Jeremy. 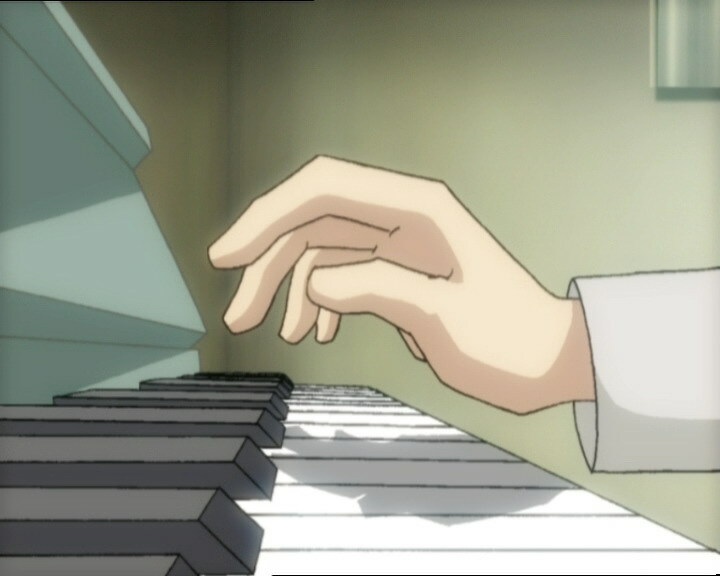 Harassed and disturbed by these events, Aelita leaves when she’s supposed to be resting and goes to the Hermitage while her friends are in class… Once there, she’s once again assaulted by visions and seems to relive scenes she’s already encountered: she most notably sees a man on the piano… During this time, XANA attacks. 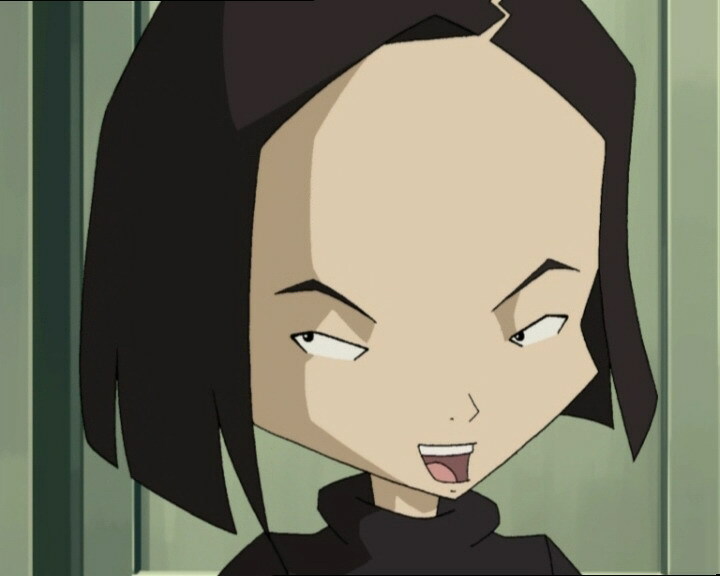 On Lyoko, the battle is quickly won thanks to co-ordinated attacks by the Lyoko Warriors. This is when against all odds, instead of deactivating the tower, Aelita goes to the edge of the Sector to get the Transporter to Sector 5. Apologising to her lover, she affirms that she needs answers before disappearing into the white sphere sent by XANA. Panicked, Jeremy sends his friends after her by entering the code Scipio and Odd saves the girl by severing the Scyphozoa’s tentacles with a marvellously-aimed arrow. 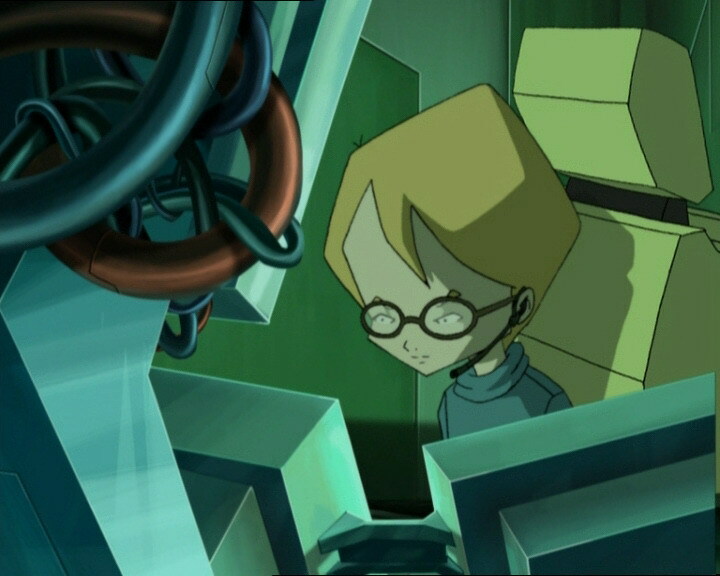 Despite Jeremy wanting them to escape on their vehicles, Aelita persists and looks for information on the interface in Sector 5. During the struggle that ensues against the Mantas with their flying mines, the Scyphozoa appears again but fails in its attempt to steal the girl’s memory. 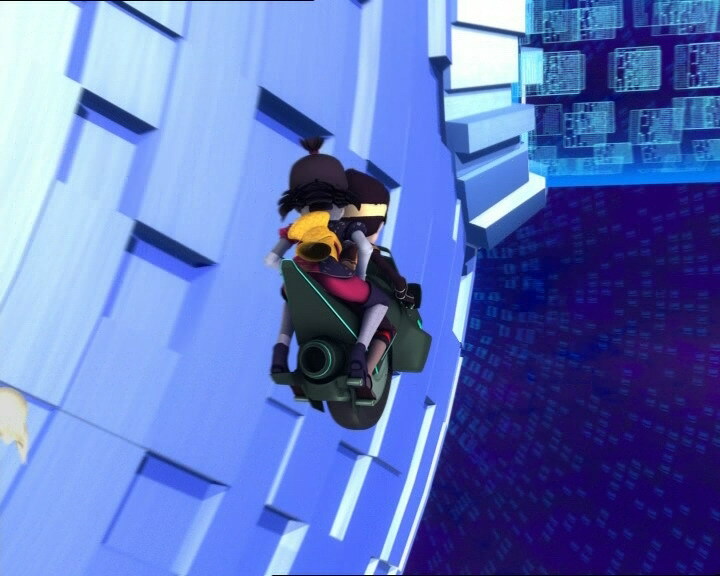 Aelita escapes the Sector and goes to the Desert to deactivate the tower. Upon returning to Earth, the pinkette apologises for the harm she caused and realises that the visions must have been programmed by XANA to lead her to Sector 5. Meanwhile, Odd realises to his dismay that the mysterious girl in the chatroom was none other than Sissi…he runs for it! 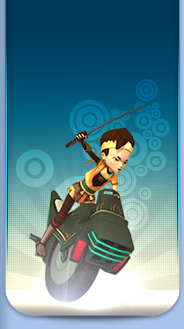 - Attack: Simulate visions in Aelita’s mind to entice her into returning to Sector 5 where the Scyphozoa is waiting. - Aelita realises the man in the white coat in her visions is Franz Hopper. - Discovery of the men in black through Aelita’s visions. - Jim claims to have been a salvage diver in the Marine Corps and no longer accepts Jeremy’s excuses to stay away from the pool. - Odd says nightmares happen all the time and he had a crush on a girl from a chatroom before realising that it was actually Sissi. 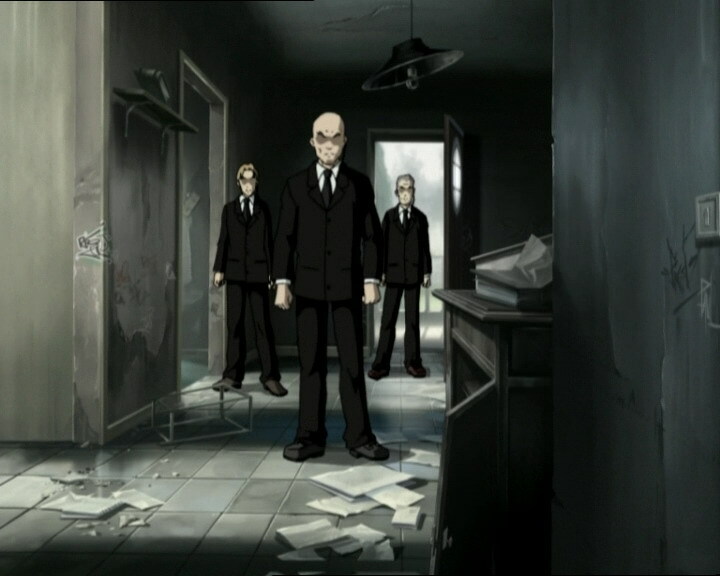 - When Aelita is led through the corridor by Jim, both male and female students poke their heads out of the doors to see what’s going on. We see Jeremy’s room, so we can assume she was on the boy’s floor, so there shouldn’t have been any girls in the bedrooms. We then see all the lights switched off on the girl’s floor. - Just before Aelita falls into the pool, Jeremy’s board shorts change colour and two students change place. - Jeremy’s tray is empty at the moment when Odd gets ready to leave the cafeteria then it becomes full again in the following shot. - Aelita’s earring disappears when she says she’ll only take a few more seconds with the interface in Sector 5. 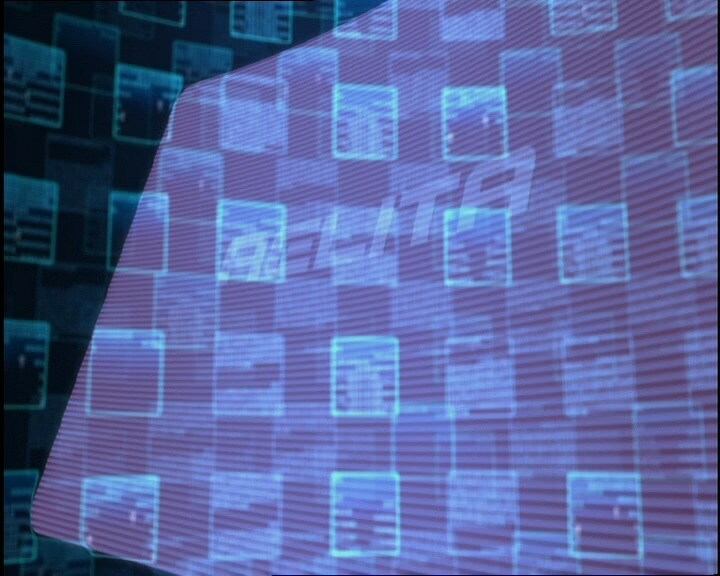 - The factory microphone is in Jeremy’s right ear when he says “Virtualisation” for Aelita and Yumi, and it changes constantly (wired or wireless). - Only episode in which the Scyphozoa attacks Aelita twice. - Third episode beginning with one of Aelita’s dreams. 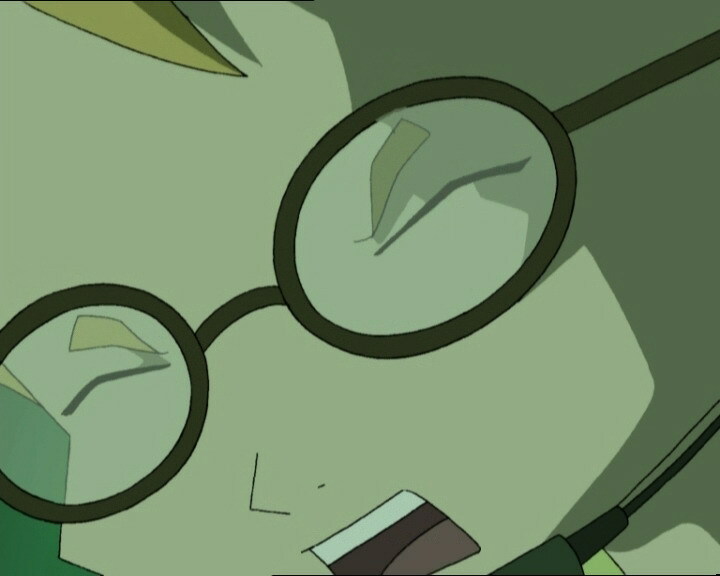 Sissi makes an allusion to episode 31 “Mister Puck” in which she became fed up with Aelita waking her in the middle of the night after screaming because of her visions. - Allusion to episode 28 “Unchartered Territory” when XANA sends the Transporter for Aelita to use and send her to Sector 5 alone. He references Walt Disney’s famous animated film in which Cinderella is transformed by her fairy godmother into a beautiful princess, but the spell only lasts until midnight. The film is based on the story by Charles Perrault. Antoine de Saint-Exupéry is a famous author. - The English title of the episode comes from the film “Déjà Vu” by Tony Scott. Déjà vu is also a medical term coming from French (literally meaning “already seen”) in which the person experiencing it feels as if they’ve done an action or been to a place before, when they actually haven’t. 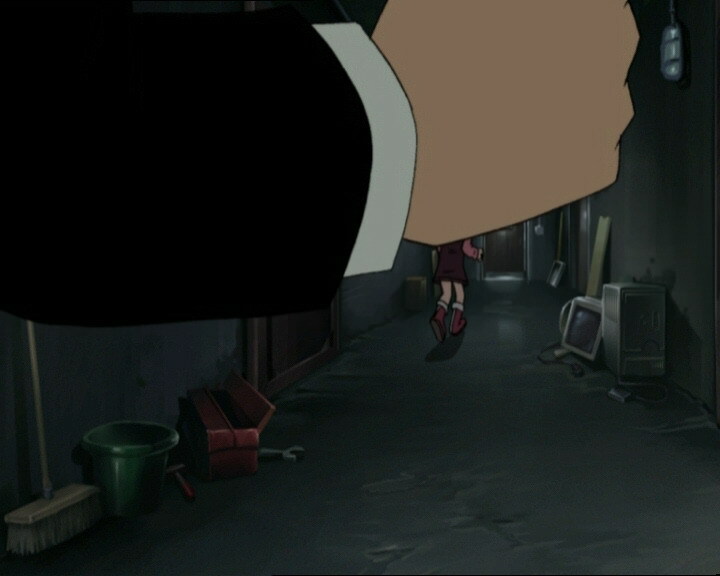 Aelita: It was daytime, there were these men in black coming after me…it was horrible! Yumi: You must’ve had a nightmare. You shouldn’t get worked up, it happens to everyone! Odd: Yeah, that’s right! Happens to me all the time! One night, I dreamt I was on a date with Sissi! Can you think of a worse dream? Yumi Speaking of which, how’s your Internet dating going, Odd? Ulrich: And what’s worse, he stayed up all night exchanging chat messages with her! I didn’t sleep at all thanks to him! Jeremy: “…it’s looking together in the same direction,” huh? Odd: Hey! How do you know that? Jeremy: It’s a poem by the guy who wrote The Little Prince! She may be romantic, but she’s not very original! Ulrich: Ok, it’s time to get wet! Are you gonna cut swimming again, Einstein, huh? Odd: Great, we’ll finally get to see that buff, athletic body of yours! I can’t wait! Jim: Uh, yeah, right! Uh…no! That’s not it! Now, no-one has to be scared of the water, unless of course you’re lost at sea somewhere in the middle of the Indian Ocean. In that case, you would certainly have the right to say, “wow, that’s a lot of water!” And what’s more, it’s only on the surface! Jim: Which reminds me of when I was a salvage diver! Nicolas: You used to be a salvage diver, Jim? 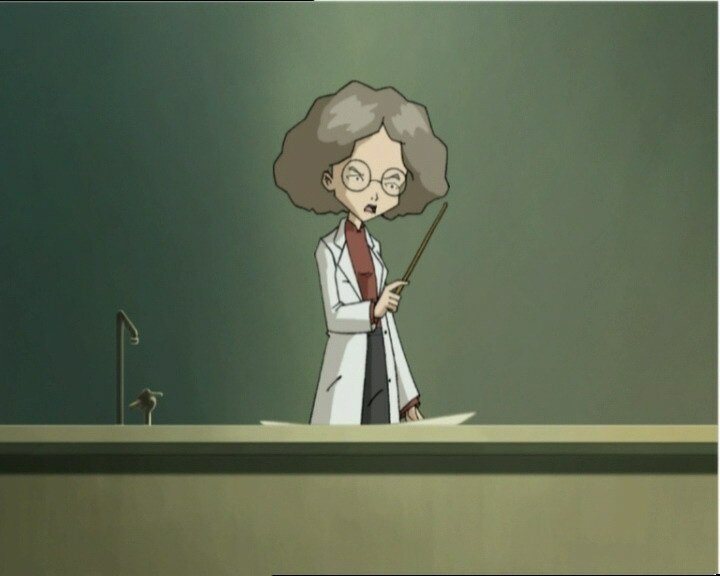 Ulrich: Maybe she’s in Yumi’s class! Haha, and what if it’s Anais Fiquet? Next to her, you’re a real shrimp! Jim: Stern and Della Robbia! Uh…I’m sorry if I’m boring you! Alright, on deck, let’s see what you can do! Ulrich: Come on, Odd, you can talk to your cyber girlfriend after class! Sissi: Hey! Can’t you look where you’re going, you clumsy dork?! Odd: Oh, sorry Sissi! I mistook you for a doorpost! Jeremy: Oh no, an activated tower! Ma’am, can I go to the bathroom? Ms Hertz: Ohh no you don’t! It’s always the same with you three! You should have gone before class! And put that computer away before I take it away! Ms Hertz: It is also a very heavy metal, which means…what? Sissi? Sissi: Uh…uhh…it means...uh, uh…that a pound of metal weighs…uh…nearly a ton? Odd: Hey Cinderella, we said midnight on the dot! 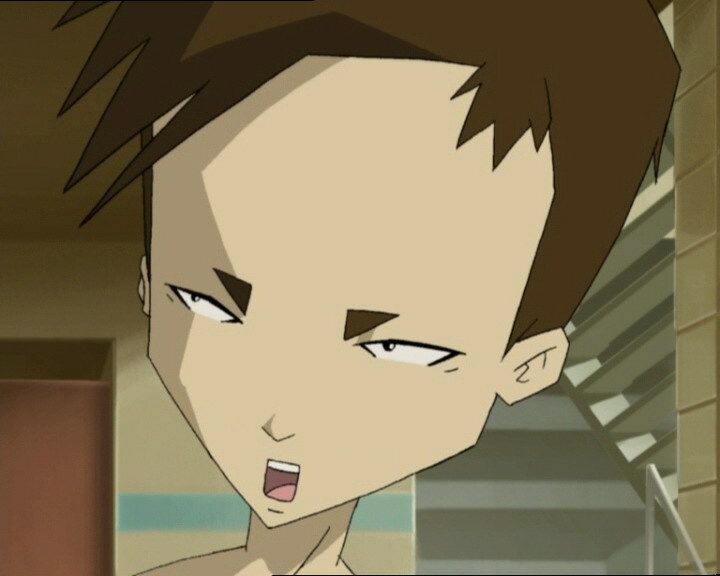 Aelita: Franz Hopper! I know it sounds crazy, but I’m sure it was him! Jeremy: Exactly! XANA is perfectly capable of stimulating your cerebral cortex through the virus that links you to him. And from that, he can paradoxically simulate in you an artificial sleep, and involuntary psychic activity that goes with it. Odd: In short, you mean XANA’s showing you free movies? Jeremy: XANA’s monsters up ahead, do you see them? Odd: We’d have to be as near-sighted as you not to see them! Yumi: Ground and air attack! Jeremy: The Transporter…but I didn’t call it up! Aelita, what are you doing? Aelita: Sorry Jeremy, but I want some answers. I have to find out where these visions are coming from! Odd: Great, a leapfrog contest! Ulrich: You think this is easy?! Jeremy: Odd, mind telling me what you’re doing? Odd (exiting the scanner): Ohhh, Sector 5 is even worse than Ms Hertz’ class! Jeremy: As soon as you get to the Celestial Dome, get out of Sector 5 and head for the Desert Sector, fast! Ok, Aelita? (Aelita doesn’t listen, and goes to the interface instead) Aelita, what did I tell you? We’re not getting any data! You have to deactivate the tower! 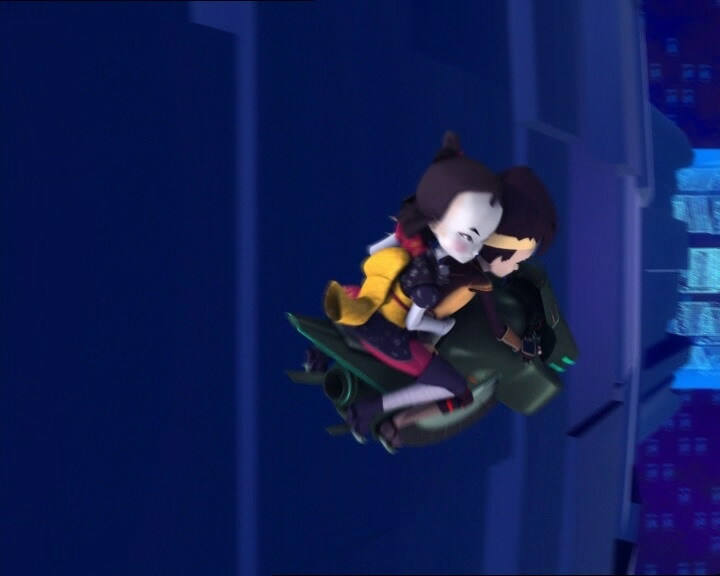 Jeremy: Ulrich, Yumi, drag her out of there by force! Yumi (looking at the Mantas): What do you want us to do, knock her out?! Jeremy: You see? It was just a trap made in XANA! Ulrich: So Odd, how’s your cyber sweetheart? Odd: She is too cool! I’ve really got it bad this time, guys! I’m gonna meet her! Odd (arriving at the designated place and seeing Sissi): I don’t believe this! Ulrich: So Odd, your fantastic girl, what’s she like? Herb: So, did you meet your mystery computer boyfriend? What’s he like? Sissi: If he’s a mystery, why would I tell you, you dork? (seeing Odd and Ulrich) What’s the matter with you? You act as if you never saw me before!